A century ago, the fledgling industry of aviation had a problem — and it was getting people killed. Four fliers died in 1909. Thirty-two pilot deaths in 1910. One hundred forty pilot deaths in 1912. Automation and cockpit instruments. In 1914, a father-son inventor team, Elmer and Lawrence Sperry, developed the first autopilot device, and later, the “artificial horizon.” The first altimeters were introduced in the early 1920s. By 1929, Army Lt. Jimmy Doolittle — during World War II, Lieutenant General Doolittle, leader of the famous 1942 raid on the Japanese homeland — made the first “instrument flight” in which he flew and landed a plane while inside a blacked-out cockpit. More automation. Fewer people. Fewer problems. In August, the Pentagon — worried about leaks of military and intelligence secrets — purchased a revolutionary cybersecurity technology dubbed “Mayhem,” developed by a team of researchers from Carnegie Mellon University. What’s so revolutionary about it? They programmed a supercomputer to automate the entire process of finding unpatched security flaws and bugs. So instead of waiting for a human hacker to find and exploit an unnoticed vulnerability in a vast corporate computer system, the Mayhem software constantly roams about the system on its own to identify — and fix — those weak points first. 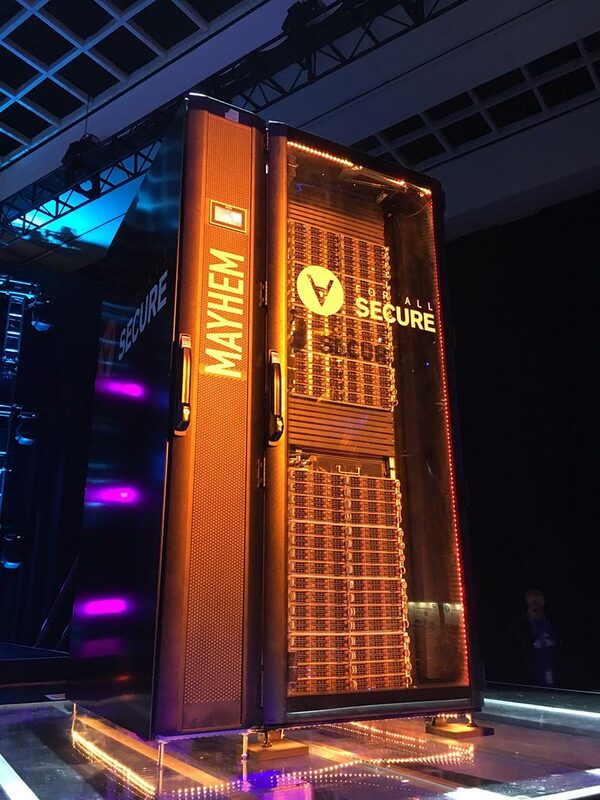 The Mayhem team first gained fame last year, when it won a $2 million competition sponsored by DARPA – the Defense Advanced Research Projects Agency — to develop an “all-machine cyber hacking system” to defend computer networks from hackers. ForAllSecure is the first enterprise to develop such a technology, but you can bet it won’t be the last. Companies with advanced artificial intelligence capabilities will be at the forefront of such groundbreaking endeavors — Total Wealth Insider has one such company in its portfolio already. The advent of artificial intelligence and automated software analysis will go a long way toward solving cybersecurity’s most intractable problem. Editor’s Note: Cybercrime is clearly a massive problem. So it’s no surprise that global spending on cybersecurity products and services is predicted to surpass $1 trillion over the next four years. And there’s one company in particular that has developed a method to stop hackers in their tracks. You can learn more about it here.